What makes a board game great? Is it the mechanics? The artwork? The theme? Originality, playability, composition, well-written rules? Is it the quality of the materials? What about box design? 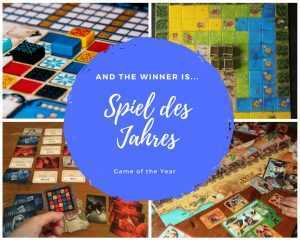 These are all questions the jury of the Spiel des Jahres asks each year to award one game the coveted title Game of the Year. To qualify for the award, games must be published in Germany in the 12 months prior to the nomination, and there are three levels of the award: Game of the Year, Children’s Game of the Year, and Connoisseur Game of the Year. Games that typically win the main prize are elegant in design and easily accessible, with top-notch components and artwork. This year, the winner was not a surprise to many people. 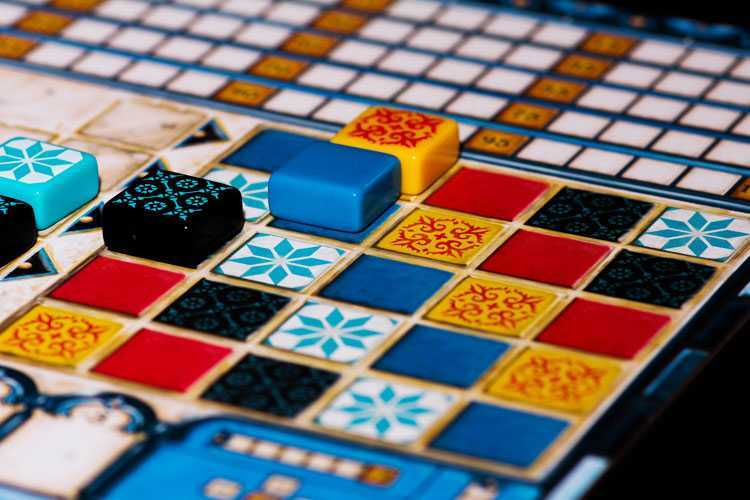 Azul from Plan B Games has been one of the hottest titles since its release in 2017. In this must-play game, you are a tile-laying artist that has been challenged to embellish the walls of the Royal Palace of Evora, Portugal. Players take turns drafting colored tiles from suppliers to their player board. Later in the round, players score points based on how they’ve placed their tiles to decorate the palace. Extra points are scored for specific patterns and completing sets; wasted supplies harm the player’s score. The player with the most points at the end of the game wins. 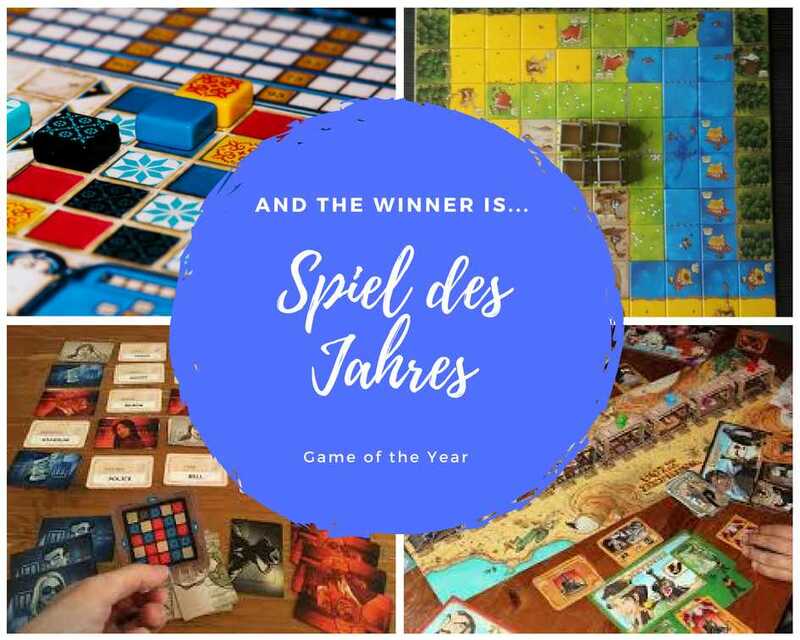 Here are the winners of the Spiel des Jahres over the past 10 years. Most of these games have become staples in the board game community! Looking to try Azul and many other award-winners? Check out our event calendar here for game nights. Game on!